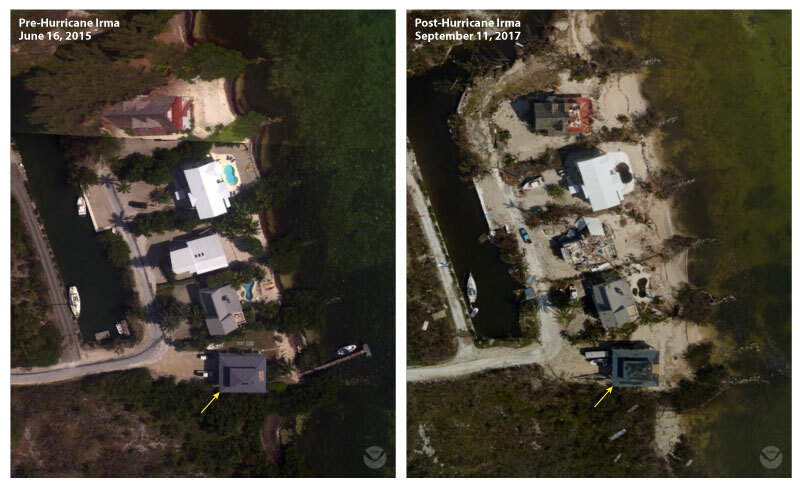 Below is an initial comparison of imagery collected by the National Oceanic and Atmospheric Administration (NOAA) in 2015 with similar imagery taken a few days after Hurricane Irma's landfall (https://storms.ngs.noaa.gov/). These photos provide information about how the coast was impacted by the storm. Yellow arrows point to the same location in both pre- and post-storm photos. 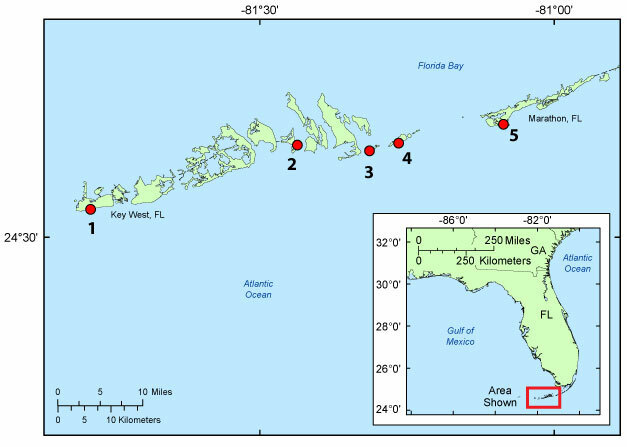 Locations of observed coastal change due to Hurricane Irma.